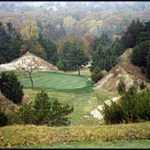 This is one of the courses reviewed in the new book, Fairways to Heaven – the Journeyman’s Guide to the Best of American Golf by Trent Ricker & Michael Stevens. To learn more about the book, you can read our review. 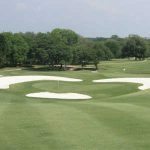 10 miles west of Downtown Austin in the heavily wooded hill country of south central Texas lies Barton Creek, a Tom Fazio masterpiece that incorporates the best features of the beautiful surrounding land. 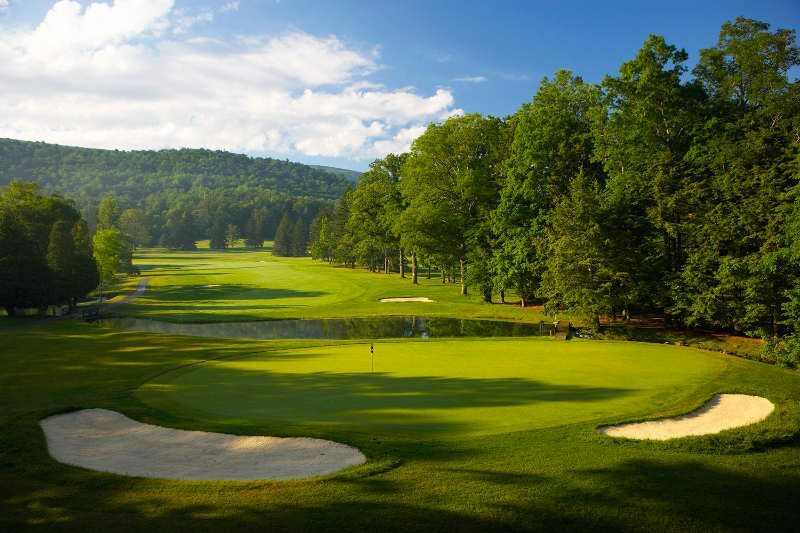 The course winds its way up, down, and around numerous hills and knobs, giving the golfer plenty of panoramic moments and opportunities to stop and simply enjoy the day. 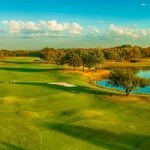 Every hole is uniquely different and presents a puzzle; bi-level fairways, rock filled grottos, devious green-side mounding, gorgeous waterfalls, and smaller than average greens are all part of the Barton Creek experience. It is predominantly a thinking player’s course, and is generally devoid of hidden traps and cruelly placed hazards. 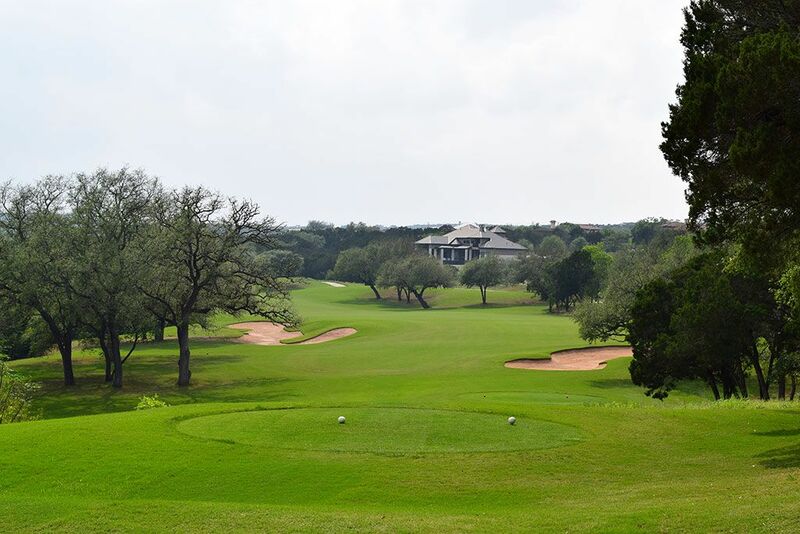 First impressions leave one feeling like Barton Creek’s Fazio course successfully marries the beauty of a mountain course with the shotmaking demands and playability of a classic southern design. This first impression may very well linger through all 18 holes, but the end result is the realization that this is a very enjoyable track and a true gem in the crown of American golf. Barton Creek has a good mix of solid golf holes. The four par 5s are some of the best you will find and require intelligent shotmaking and creative strategy. 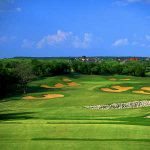 The wind will always come into play in Texas and at Barton Creek, the par 4s will leave you hitting a variety of different clubs on your approach shots. The par 3s here offer some relief and the ninth is as beautiful as you will find. The typical Fazio undulating fairways require some strategic thinking off the tee to pick your best spot to drive for. The par 4 second is a good example. With trouble along the left side, the best angle to come in from is definitely the upper right terrace of the fairway. Aim to the right of the trees and if you hit it far enough off the tee, you’ll get a generous roll from right to left down the hill leaving you just a short iron to a large green. Following a short par 3 with a difficult putting surface, you’ll once again stand atop an elevated tee box on number four where the wind will affect you on the difficult, narrow par 4. Accuracy is a must off the tee into the fairway that slopes significantly from right to left. Keep it as right as you can without going into the trees for a good angle into a fair green. The eighth is another great risk-reward par 5 that requires intelligent shotmaking in order to walk off with a good score. A large lake sits to the left and continues all the way up to the green. The smart play is to hit a comfortable shot to the large landing area, keeping it left center to set up your next shot on this dogleg right. Hit your approach towards the right side and you should get a favorable kick off the mounds onto the long, narrow green. The ninth is a signature hole at the Fazio course, a short par 3 with beautiful waterfalls cascading down the grotto on your left. There may be magnets in the waterfalls, as many shots tend to find their way left, from which there is no recovery. Stay right and let your shot bounce off the mounds towards the small green. A fantastic view awaits you from the tee box on number ten, a hole that has been voted one of the most beautiful in Texas. The tee is very elevated and your drive will seem to carry forever. Hit all you want on this straight away par 4 – the only problem you should face here is the wind. Following an uphill par 4, a fun par 4 twelfth will tempt you to go for the green off the tee. Measuring at only 245 yards from the white tees, very little trouble awaits you off the tee if you can hit it fairly straight. While there are trees left, the only real danger on this hole lies behind the green where it drops off into a ravine. Another postcard awaits you on the sixteenth, a beautiful par 4 with a gorgeous green protected by a rock wall and waterfalls in front. While the fairway slopes right to left, stay as right as you can off the tee to set up your best approach. It’s all carry towards the shallow green as the water will gather anything short. Finishing your round is a spectacular par 5 eighteenth that forces you to think on every shot. Playing to an elevated green surrounded by beautiful foliage and landscaping, you’ll need a good drive off the tee. Your second shot will needs to be a solid poke towards the upper left tier. Look carefully at the formations elevating the fairway and green and you will see a cave – try to hit it just right and above the cave for the best approach shot. Take enough club, as anything short is dead. Mounding surrounds the small green from the back and all along the right side. Driving back towards the clubhouse, you’ll notice that Barton Creek’s facilities are thoroughly world-class. 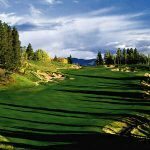 The course is meticulously maintained, and the clubhouse, spa, and convention center are gorgeous and provide perfect compliments to the golf grounds. 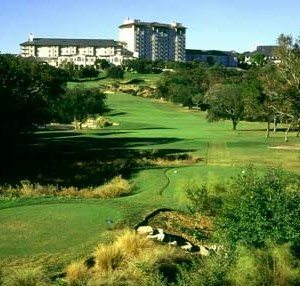 You must stay at the Barton Creek Resort to be able to play the Fazio Course, but you would be hard pressed to find a better destination for a weekend getaway or multi-day golf adventure. You’ll need some muscle at Barton Creek from the blue tees as the par 4s will require accurate tee shots and some long approaches. Add the wind and the 6800 yards seem to play to about 7200. Fazio sets up the fairways to help you out a bit if you hit your tee shots to the right spot. Carefully analyze each hole from the tee to see where you may be able to catch a downslope. Frequently it is not only the proper location to play your approach from, but it also gives you a few more valuable yards in roll. The par 5s are all risk-reward, with only the eighteenth truly unreachable. Birdie opportunities abound on the other three, with your best chance coming on the short 480 yard number eight. You may want to take a risk from the tee with your driver by hitting along the right side and letting the slope carry you to a nice, flat lie about 200 yards out. The wind can frustrate the novice and make several of the longer par 4s play as par 5s. 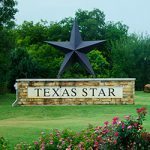 If you are new to the wind game of Texas, you’ll need to get comfortable with the low, knock-down iron shot – when hitting into the wind, play the ball a bit further back in your stance to keep your ball low and out of the wind. There are also several difficult carries over water for the shorter hitter that may be a bit intimidating. Fazio greens usually play back to front, so always err on the side of choosing more club, particularly on your approaches to the par 5 fifth and par 4 sixteenth, as well as your tee shot on the beautiful, but demanding, par 3 ninth. Definitely play this track from the whites on your first time out.